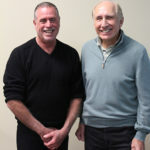 Joshua Rymer and Michael Mainardi have begun serving four-year terms on the Sonoma Valley Health Care District Board of Directors following their swearing in at the January board meeting. Both were elected to the position in November. Rymer, an incumbent, is a four-year board member and the current Board Chair, a position he will continue to hold this year. Mainardi begins his first term on the board, replacing Peter Hohorst, who has served on the board since 2008 and did not seek re-election. Board positions announced for the new term include Rymer as Chair, Jane Hirsch as 1st Vice Chair, Michael Mainardi as 2nd Vice Chair, Sharon Nevins as Treasurer, and Bill Boerum as Secretary. Committee assignments for the coming year include Sharon Nevins as chair of the Finance Committee with Joshua Rymer as member; Jane Hirsch as chair of the Quality Committee with Michael Mainardi as member; and Joshua Rymer as chair of the Governance Committee with Bill Boerum as member. Peter Hohorst was recognized at the December board meeting for his ten years of service to the board and the hospital. Board Chair Rymer noted that Hohorst, with support from his wife Lorrie, was instrumental in the campaign that passed the $35 million general obligation bond to allow the hospital to meet California seismic standards and support construction of the new Emergency Department and Surgery Center, and the equipment required to operate them, which also included significant community contributions. They also were instrumental in recent successful parcel tax campaigns. Hohorst also served as board chair and has been a member of every board committee over the course of his tenure. Joshua Rymer is an independent consultant who develops sustainable business strategies for companies and nonprofit organizations. Rymer and his husband, Tim Frazer, have been Sonoma residents since 1998. Rymer is an active volunteer in the community and has served on several boards including Community Foundation Sonoma County and the Sonoma Valley Fund (President). During his career, he has held positions with Pacific Bell (now AT&T), Boston Consulting Group, and Charles Schwab & Co. He also has worked with a number of other nonprofit organizations including the Sonoma Valley Museum of Art, Crown Family Philanthropies, The Outdoors Empowered Network, Education Outside, and the Miriam and Peter Haas Foundation. Rymer holds both a BA and BS with honors from the University of Pennsylvania and The Wharton School, and an MBA from Stanford’s Graduate School of Business. Michael Mainardi is a retired physician who practiced in San Mateo for 39 years, specializing in internal medicine and gastroenterology. He served as the medical director of an ambulatory surgery center and as president of a single specialty physician group. He also served on the clinical faculty of UCSF for 25 years and retired as Associate Clinical Professor of Medicine. Mainardi holds a BS from Georgetown University and received his medical degree from George Washington University School of Medicine and Health Sciences. Mainardi and his wife, Ricki, have lived in Sonoma full-time since 2013. He currently serves as Chair of the Sonoma Valley Community Health Center board of directors and has served on the Sonoma Valley Hospital Quality Committee. He is also a board member of the George Ranch Community Association. Sonoma Valley Hospital was founded in 1946 as a non-profit district hospital and is governed under the Bylaws of the Sonoma Valley Health Care District by a publicly elected Board of Directors. Directors hold non-paid positions and serve four-year terms, with elections taking place during general elections for local, state or national offices. As part of the Sonoma Valley Health Care District, the hospital is supported primarily by revenues from services, augmented by taxpayer support in the form of a parcel tax.